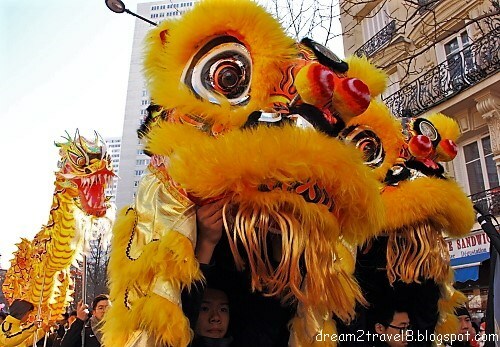 What is Chinese New Year and how is it different from Western New Year? 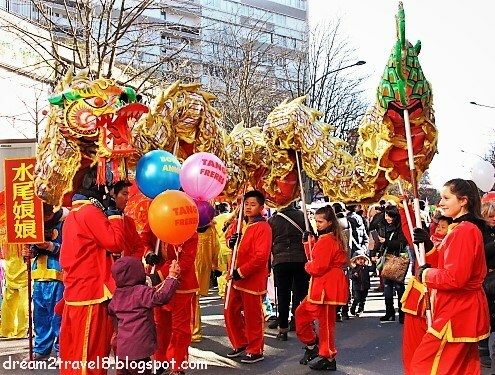 Chinese New Year is the most significant festive celebration for the Chinese, one which is widely celebrated across Asia and even in the Chinese neighborhoods of some of the non-Asian countries! 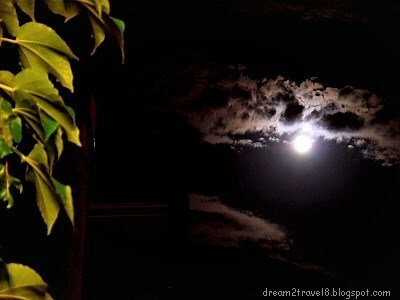 It is such an important event that in some parts of China, the celebration actually last for 15 days! (Woah!) 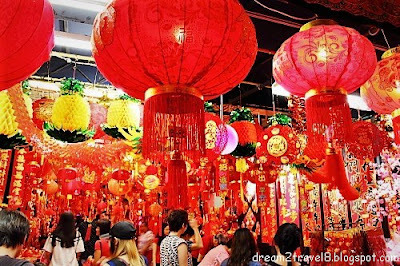 Unlike the western New Year which falls on the first of January every year, the date for Chinese New Year (based on the Lunar Calendar) is different every year! This year, Chinese New Year falls on 16 February 2018 (Friday). Why do we call it the Year of the Dog? The Dog is the eleventh animal in the 12-year Chinese zodiac cycle. The Chinese zodiac is made up of twelve signs and each of these signs are represented by an animal in the sequence rat, ox, tiger, rabbit, dragon, snake, horse, sheep, monkey, rooster, dog and pig. Unlike the western zodiac, the Chinese zodiac is not based on the monthly positions of the Sun and constellations but are instead based on the yearly Chinese Lunar Calendar (determined by the movement of the moon). Each of the twelve signs are repeated once every 12 years. According to the Chinese zodiac, year 2018 is the year of the Dog. 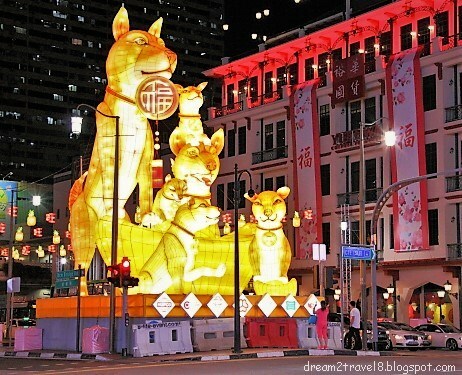 What are some of the significant events that take place during Chinese New Year celebration? In the weeks or even months leading up to the Chinese New Year celebration, the Chinese neighborhood in many countries would have been decorated with red paper cutting arts, red lanterns, red couplets and may even be lined up with makeshift stalls selling Chinese New Year snacks and decorative essentials. You might be wondering why are all the decorations in red? Well, legend has it that there was once a ferocious beast, Nian, that would terrorise villagers on New Year Day. However, it turns our that this beast Nian was actually afraid and eventually defeated by the color red. Since then, red was considered to bring good luck and fortune to all and hence became the popular color for Chinese New Year celebration! 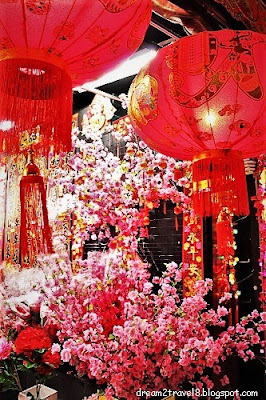 Red lantern and flowers for Chinese New Year! Around the same time when the street decorations are being put up, Chinese families would also start to get busy with house-keeping and shopping for the new year! To the Chinese, it is important to have a thorough cleaning of the house so as to drive the bad luck or the old things away from the house and get ready for a new start in the new year! 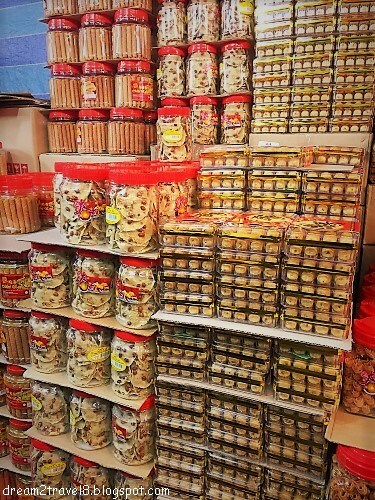 Shopping for new year food and snacks, new year decorations and new year clothes are also being done concurrently. In this way, by Chinese New Year eve, the house would have been thoroughly cleaned and beautifully decorated. The tables in the house would also have been lined with the many delicious Chinese New Year goodies and stacked with Mandarin oranges - all ready to welcome visitors to the house! 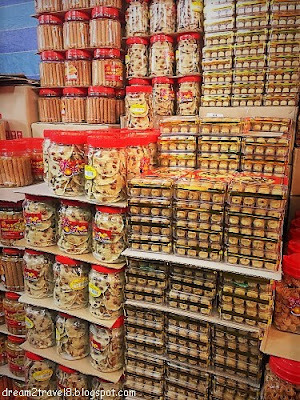 As a start to the Chinese New Year celebration, Chinese families usually make it a point to have reunion dinner together on Chinese New Year eve. It would be the time where Chinese people from all over the world gather at one place and be reunited with the whole family and countdown to Chinese New Year as one. 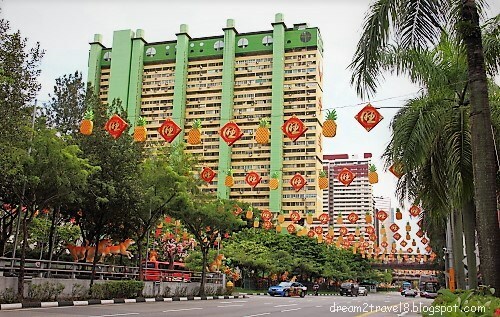 Starting from day one of Chinese New Year, everyone in the Chinese family would don up in their new year clothes, hold two mandarin oranges in their hands and extend their new year greetings to each other. Parents would usually give their children red envelopes stuffed with "lucky money", as a way of extending their positive wishes for the new year. Families would go around visiting relatives and friends and extend their new year wishes to them. Married couples would be expected to give red envelopes to every children that they see on these visits to wish them well in the new year. 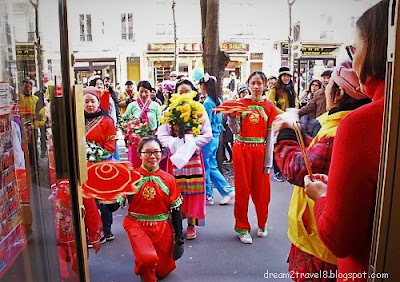 Traditionally, a married daughter will pay a visit to her parents' house on the second day of Chinese New Year and on the third day of Chinese New Year, families usually visit the tombs of their ancestors. However, nowadays, many of these traditions are simplified and such arrangements are more flexible and may differ from families to families. During Chinese New Year celebration, lion and/or dragon dances are also seen going from houses to houses to perform and bless these houses with good luck. 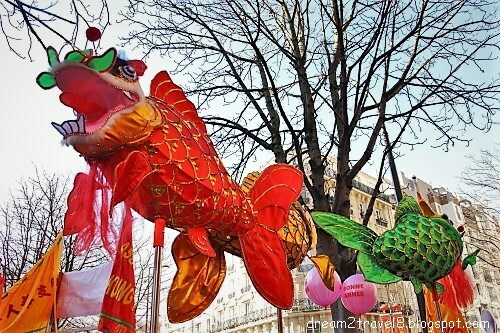 The 15th day of Chinese New Year is the Lantern Festival and it marks the end of the Chinese New Year celebration. In some places, people may be seen send floating lanterns out onto rivers or lakes. For my husband and I, as someone of Chinese origin, Chinese New Year holds a special place in our hearts. 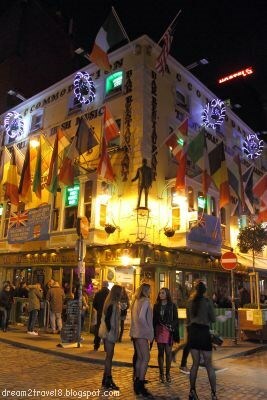 Being away in Europe has definitely strengthened our desire to join in the festive celebration as much as possible! 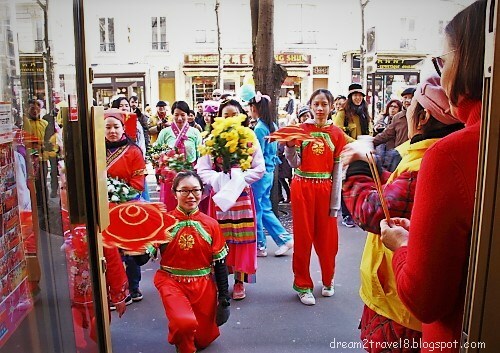 We were rather fortunate to be able to join in and witness the Chinese New Year celebration on our recent trips to Singapore and Paris. Tho the celebration in these two countries differed slightly, it was still a heartwarming sight for us and we were extremely grateful to be part of something that feels so familiar and close to our hearts! My husband and I made it a point to experience and immerse ourselves in this festive atmosphere during our recent trip to Singapore. We were there a week before Chinese New year and it was a joy to wander about on the streets of Chinatown, witnessing its transformation from a normal and quiet district into one that is lively and adorned with the iconic red Chinese New Year decorations. 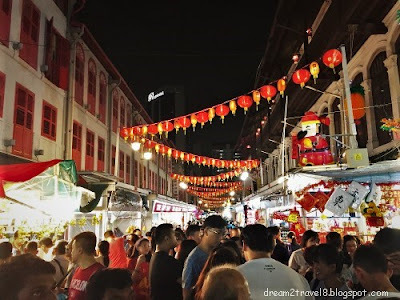 The streets of Chinatown were, by then, lined up with many makeshift stalls selling many beautiful Chinese New Year decorations, Chinese New year snacks, nuts, and jelly. We were even able to sample the delicious Chinese New Year goodies that the makeshift stall owners have generously handed out to us! 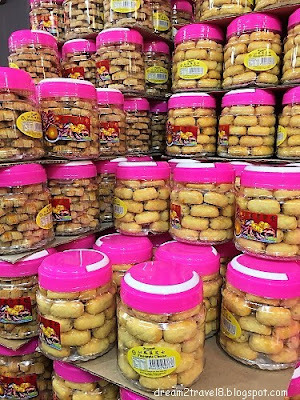 ..and more Chinese New Year snacks!! As it drew closer to Chinese New Year, the streets became busier and were filled with more people from all walks of life just soaking in this joyous atmosphere! The lively yet orderly streets of Chinatown became absolutely chaotic on Chinese New Year eve: the streets were packed with people, vendors shouting at the top of their lungs proclaiming the huge discounts they were offering for the Chinese New Year snacks and decorative items, people rushing in to do some last minute shopping, professional cameras coming out of no where to take in this chaotic yet interesting mess and tourists just trying to get back their bearings and recover from this culture shock. There were just so much going on in this district that it was hard to focus and process all that was going on! What a sight! Red is the color for Chinese New Year! After a chaotic night, on the first day of Chinese New Year the following morning, families are seen walking along the streets on their way to visit their relatives and friends. Most of the ladies were wearing the traditional Qi Pao (a body-hugging one piece Chinese dress) while the men either wore a formal shirt coupled with black pants or the modified Tang suit (a top with an upturned collar, straight lapels and traditional Chinese knots). 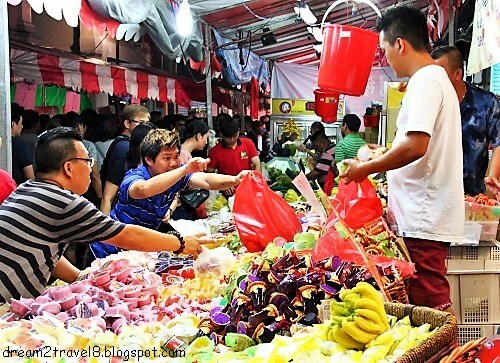 Children can be seen holding small red bags to place their mandarin oranges as well as their red envelopes! During the first few days of Chinese New Year, most Chinese would have their meals at home as most Chinese restaurants or stalls in the hawker centre were closed, and the stalls that were opened were selling food at heavily marked-up prices. We did however, get to take part in “Lo Hei”, a dining tradition practiced during the Chinese New Year period by Chinese living in Singapore and Malaysia. It involves tossing a dish (Yu Sheng) which comprised more than 10 ingredients, each symbolizing different well wishes for the new year. “Lo Hei” is usually done in a big group. The base ingredients (usually shredded vegetables) are first served on a plate. The elders amongst the diners or the restaurant server will then proceed to add the other ingredients while saying auspicious wishes as each ingredient is added. When all the ingredients have been added, all the diners at the table would then stand up and proceed to toss the shredded ingredients into the air with their chopsticks while shouting out various auspicious wishes. As it is believed that the higher the ingredients are tossed, the greater the growth in fortune, diners usually toss the ingredients with much enthusiasm and strength! Diners will then proceed to scoop some of the tossed ingredients into their plate and consume it as a starter dish. 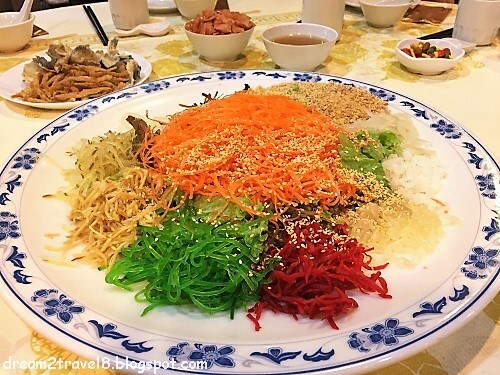 This “Lo Hei” tradition certainly makes the whole dining experience a lively and memorable one! The Yu Sheng dish for "Lo Hei"
After a brief stay in Singapore, we flew back to Europe and was once again fortunate to be able to join in the fun at the Chinese New Year Parade in the 13th arrondissement of Paris! It was absolutely chaotic - people were everywhere and firecrackers were extensively used along the streets! 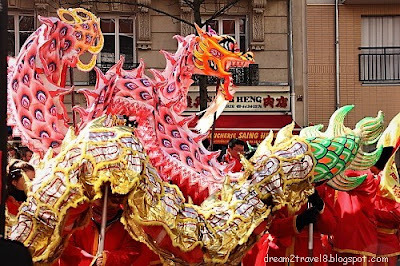 Before the parade, there were several small groups of lion/dragon dance troupes as well as Chinese religious groups carrying the statue of Goddess Mazu calling in on the shops and restaurants lining the streets of Chinatown. Through performances and rituals, these groups extended their blessings and best wishes for the new year to the shop/restaurant owners. We were lucky enough to be dining in one restaurant where such visits took place and it certainly was an eye-opener to witness the whole process! After a quick lunch, we decided to head to the street where the parade was scheduled to take place. The various groups involved in the parade had by then, started to take their places and people were rushing onto the street to take photos of them and with them. 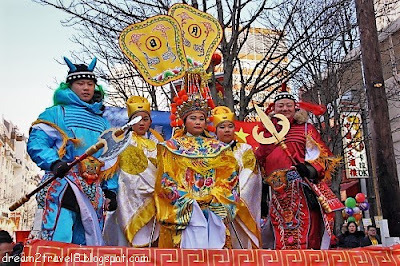 There were the dragon dance troupes, Chinese folk dance team, religious statues, mascots, troupes don with the traditional Chinese costumes and a person dressed as Cai Shen Ye (Chinese God of Prosperity) walking about and interacting with the public. It was fascinating to see everyone so excited to be part of the celebration. The thundering sound from the drums of the dragon dance troupe announced the start of the parade and with each beat, we could see the dragon slowly emerging and started “dancing” in tune with the drum sound. Both sides of the street were packed with people who cheered and waved at the various Chinese New Year Parade groups as they walked down the street! Happy Chinese New Year to one and all!! When travelling, accommodation is one of the main make-or-break deals for me and my husband - a good accommodation will enhance the whole trip experience and a bad one will just well, make the whole trip feel bad! There are so many accommodation options to choose from nowadays - from the more popular ones like hotels, hostels, motels, service apartments, Airbnb, bed and breakfast, couch-surfing or camps to the less conventional ones like castles, igloo, ice hotels, yacht, farmhouses or even capsule hotels etc. 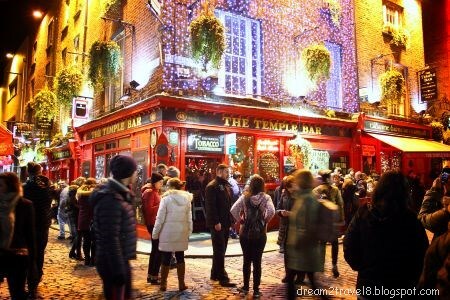 Even with so many accommodation options available, many other different selections of accommodation styles are still being established with each passing minute worldwide. Personally, we have tried many different types of accommodations during our travels but the two main ones that we always go back to are hotels and Airbnb - and this post will be focused on these two types of accommodation. However, we would like it to be known that we are in no way affiliated with Airbnb or any hotels and neither are we sponsored by them in any way. This post is written entirely based on our experience and viewpoint as a customer. There has been many articles on the impact on the hotel industry since Airbnb’s introduction in 2008. Now, a decade later, Airbnb is still one of the more popular accommodation option alongside hotels! So, what are our reasons for choosing hotels over Airbnb accommodations and vice verse? The three Cs (cost, convenience and comfort) are the main drivers for the final decision on our accommodation choice. As travelling is not cheap, my husband and I tend to be more prudent when it comes to accommodation budget and we would usually think through carefully about a budget that we are comfortable to work with. -How much can we afford to spend on this trip? -Will we spend a lot of time in the accommodation or will we be out for most of the time? -What are some of the hidden cost of the accommodation that has to be factored in (e.g. cleaning charges, internet charges, city taxes etc)? These questions help us to make better decision by allowing us to sieve out hotel or Airbnb options with rates that are closer to our projected budget. Furthermore, it would serve as a good reminder for us to not just look at the advertised price because sometimes when the hidden charges are added in, it might not be as value-for-money as we had initially thought so. Also, personally, if we were to be out for most of the time, it would not make sense to us to spend a huge portion of our travelling budget on a place which we will only occupy to rest for the night. Based on our travelling experience, we also realized that for places with a higher standard of living, usually the cost of staying in a hotel is much higher than what it would cost to stay in an Airbnb accommodation. Hence, in such situations, our preference for the Airbnb option would be stronger. However, for places where the cost of staying in either types of accommodation is similar, the following two Cs would have a stronger influence on our final accommodation choice. When it comes to convenience, we would usually rank the selected accommodation options according to their ease of convenience of getting to the main touristic sites (usually it would be the city center). The main reasons for doing so is that if the accommodation is nearer to the places that we want to explore, we can most probably save on transportation cost and we could also stay out till slightly later without worrying about the last bus/train back to our accommodation. 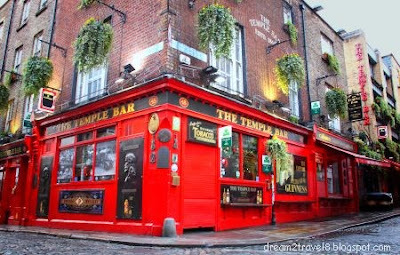 In this way, we would be maximizing our budget and time to explore this foreign wonderland! -Does the accommodation provide the facilities for us to store our groceries or to cook our own meals? 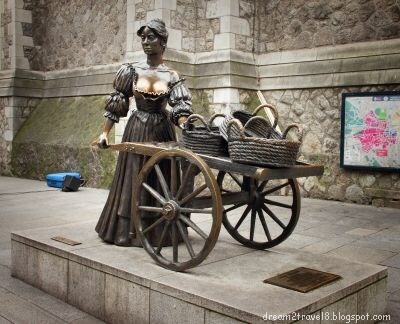 -Does the accommodation have a washing machine for us to do our own laundry? -Would there be any need for immediate assistance from the accommodation provider (such as house-keeping, recommendations on where to go or where to eat, making a dinner reservation or calling for a cab)? Again, these questions would help us to determine if certain facilities are really required. For example, in a country where there are many economical eating-out options, an accommodation with a kitchen will not appear more appealing than one that does not have. Similarly, in a country where there is an abundance of affordable laundromats, having a washing machine in the accommodation will no longer be an enticement. On the other hand, if we are in a country where language barrier is of a great concern to us, we would usually opt to stay in a hotel whereby we can easily get assistance from the conceirge when the needs arises. Hence, the convenience in this aspect is usually destination-specific and would constitute different considerations in different destinations. An accommodation has to be comfortable to stay in for it to enhance a trip further. My definition of a comfortable stay is not some extravagant or luxurious stay but one that allows the travelers to rest their tired feet, to have a good sleep and a good shower. Hence, any selected accommodation options that provides more than these basic comforts will be without a doubt ranked higher up in preference. -Are there air-conditioners (during summer) / heater (during winter) provided? -Can we sleep in or do we have to vacate the room for house-keeping? 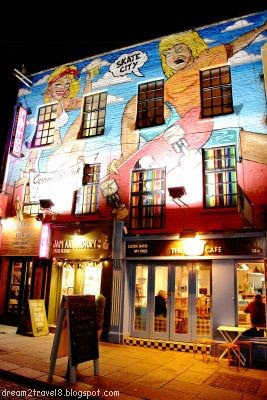 -Would we want a restaurant located in the same building? 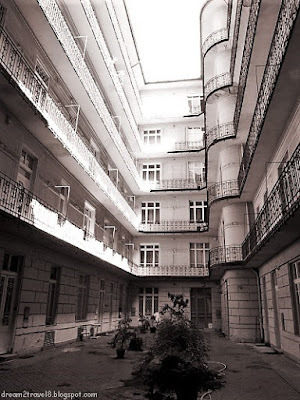 -Will we need to sacrifice some of our privacy (for accommodations with hosts staying in the same apartment/building or when the communal areas are shared between guests)? There were times when we took it for granted that the accommodation would provide the comfort that we very much needed for our travels and needless to say, we did not have a very pleasant trip. The most unforgettable experience was this particular trip to Malta in summer, where we did not give it much thought on whether there were air-conditioners available in the accommodation. We ended up not getting much sleep for the whole week that we were there as the whole apartment felt like an oven in those warm summer nights. Naturally, we did not enjoy that trip as we were too sleep deprived to enjoy the beautiful sights of Malta. Also, we feel that having the privacy in our own space is essential for a comfortable stay. We can truly make ourselves comfortable only when we are certain that we would not have to be subjected to fears of housekeeping staff barging into our room or be under the constant watchful survillence of the accommodation hosts. To us, the accommodation is usually a place where we would find rest after a whole day out, thus, a comfortable bed, a nice showering facility or even a restaurant in the near vicinity would be more crucial to us than the selection of television channels or the availability of other entertainment or even gym facilities in the accommodation. Of course, comfort has different meanings to different individual and as long as you think through what really matters to you to ensure a comfortable stay in the accommodation, the accommodation that can meet your comfort needs will certainly enhance your trip experience. These three Cs considerations serve as a good starting point to determine the ideal travel accommodation option and if all else fails, there are still many options to choose from. What is important is that we do not hastily make a decision on our travelling accommodation but rather to choose one that best suits our needs for that particular trip! An accommodation with a view like this would be good! How about you? What are your considerations when it comes to choosing accommodations for your travels? After a rather hectic period of time, my husband and I decided to take a weekend trip to just chill and relax. 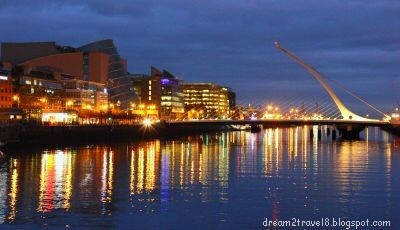 We decided to head to Dublin! 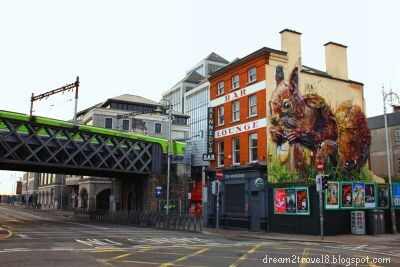 Why Dublin? Well, for one, we have never been to Ireland and also we would like to see for ourselves the beauty of this country that many of our friends had proclaimed, hence the decision to explore the capital of Ireland - Dublin! The truth to be said, a weekend in Dublin was too short a duration to cover all the interesting places spanned across the city but we were quite satisfied with just having the opportunity to walk about and enjoy the beautiful sights of the city. It was also a good way to “declutter” our minds as well as to recharge ourselves both physically and mentally before we return to the challenges waiting for us back home. 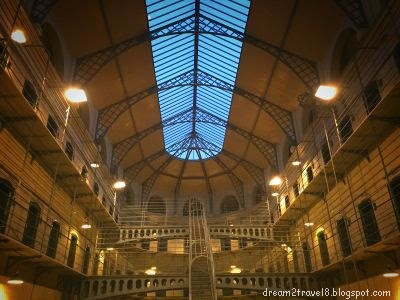 Of all the places that we visited, the visit to Kilmainham Gaol Museum left the deepest impression on us. 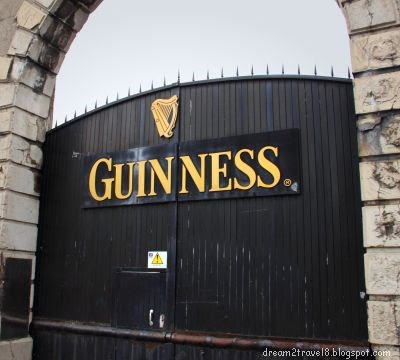 Kilmainham Gaol, a former prison, currently functions as a museum and is a witness to Ireland’s turbulent past in its struggle for independence from Britain. It was the place where many Irish revolutionaries were imprisoned or executed - a sobering reminder that freedom came with a price. During the tour, our guide gave us brief explanation of the harsh and inhumane conditions that the prisoners were subjected to through most of the 19th century: there was this big issue of overcrowding in the prison due to two factors: (a) the use of the prison as a holding depot for prisoners sentenced to be transported to Australia, and (b) a significant increase in the number of prisoners, most of whom were women and children caught for begging or stealing food during the Great Famine. 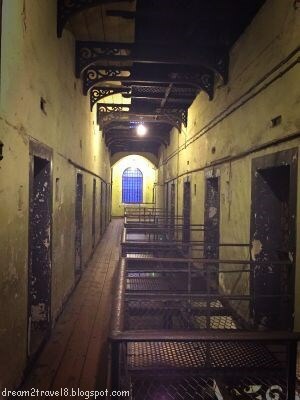 As a result, there was widespread of diseases and the prisoners suffered from poor health and hygiene. This piece of historical information, coupled with a tour of the claustrophobic prison cells, execution sites and the prison on the whole, painted a rather dim picture of how horrible it must be like being trapped in the prison at that time. 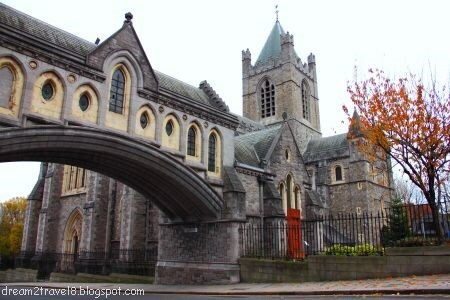 Tho we were filled with many mixed emotions and a heavy heart at the end of the tour, we felt that it was important to have a good understanding of Ireland’s history in order to appreciate their culture better and in turn make our trip more meaningful.